Rocker technology is the word on the slopes this season, as ski and snowboard manufacturers continue to fine tune how a gradual to radical rise in the shovel of a board can improve turn initiation for everyone from beginners to the top downhillers on the World Cup. But innovation has always been the name of the game in the snowsports industry, where each season the competition for new designs decides whose sales are down, and whose are up. And along with rocker, other introductions are also going to continue to define what’s next. The Gear Institute picks three of the best. The brand is calling it 45-degree instep retention—what they did was turn a four-buckle boot into a three-buckle boot, with a lateral mid-buckle that dramatically improves the retention of the foot in the heel pocket. 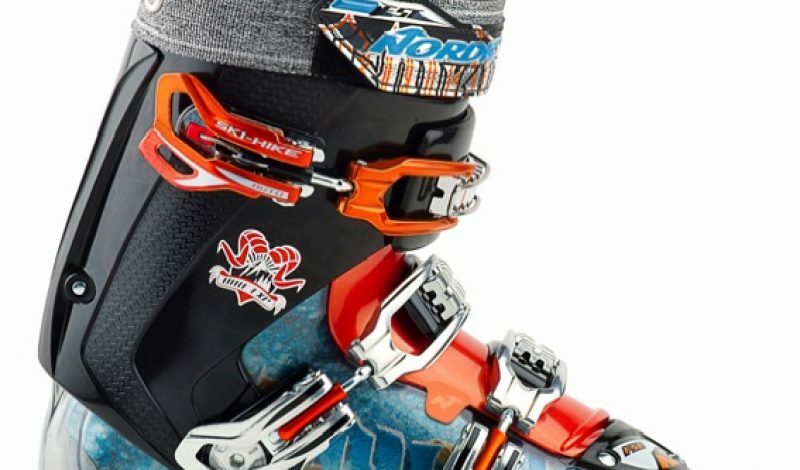 And in a big bet for a ski boot brand as venerated as Nordica, that new technology is featured in everything from their frontside performance boots, to the new freeride and “Side Country” collection for in-bounds and backcountry trips. Bottom line? Early reports are that it works. Better fit equals better control, while the three-buckle design represents a new level of stripped down performance. Referred to as “genetic engineering” for heavily rockered snowboards that have lost their spring, pop enhancers are a new generation of built-in carbon rods or pads that create rebound and jump. As ubiquitous as high-fives this winter, from Burton’s Camber Humps, to Rome’s Hot Rods, Flow’s Whiskey Shooters and Ride’s Pop Rods, enhancers may or may not be here to stay, but they certainly mark a next step in the evolution for snowboard construction, away from the influence of skiing camber toward surfing’s upturned tip float. OK, so we’re not completely ignoring rocker, because Blizzard’s Flip Core is just rocker construction taken back to the core, before the ski even hits the press. Simple as it sounds, Blizzard is building freeride skis with a flipped wood core, rather than artificially creating that convex shape during the construction process. Also called “Natural Rocker” for it’s pre-cut curve, the design was reportedly inspired by the late big mountain skier Arne Backstrom, and is featured in Blizzard’s Free Mountain Collection, its first official entry to the freeride market. Already, the Cochise and Bodacious (named after prize rodeo bulls) have been earning “thumbs up” in the magazine tests.